Swim Guide wants to help you find the best beaches in Kingston Ontario for this August long weekend. For the August Long Weekend 2017 Swim Guide recommends these Kingston Frontenac beaches for their consistent excellent water quality (they passed water quality testing more than 95% of the time in 2017), and the beaches’ popularity with our users. We’ve also confirmed that these beaches are open this summer. Sometimes known as MacDonald’s Beach, this is a rocky beach near the heart of Kingston. In 2008, a group of professors, students, residents, and Lake Ontario Waterkeeper held a mass swim here to rally support for a revitalized public swimming area in downtown Kingston. This event was a catalyst in the push for more and better beach access on Lake Ontario (and part of the reason you are looking at this Guide today)! Davidsons is found north of the City of Kingston, on Loughborough Lake. The Lake is 20km north of Kingston. It has several small islands and more than 200km of shoreline. Its source waters include Heart Creek and Milburn Creek. Lake Ontario Park is one of Kingston’s largest waterfront spaces. The City completed its major re-envisioning project on June 23, 2013. Public surveys found that having a beach at the park is important to the community and should be included in a revitalized Lake Ontario Park plan. Features include, a waterfront terrace and walkway, a lookout and public fishing, accessible washrooms and walkways, a boat launch, beach volley ball courts, a refurbished Pavilion, a new splash pad, new play equipment and a waterfront sand play area. 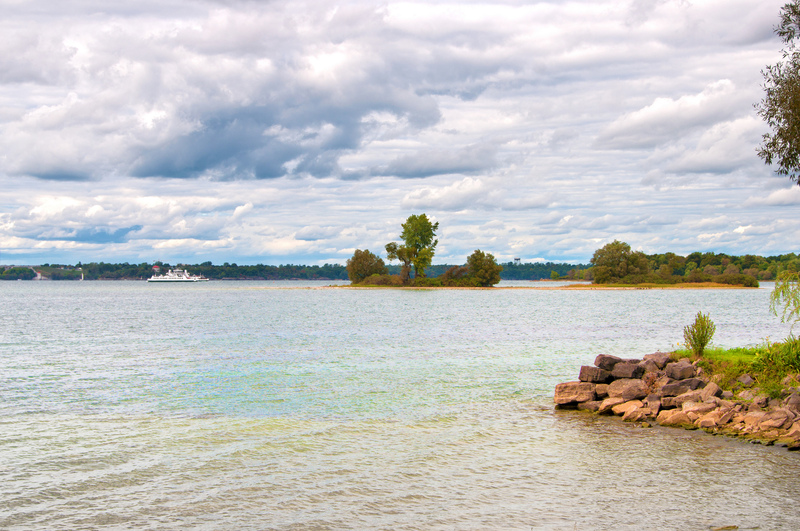 This Park is on the north shore of the St. Lawrence River, just east of Kingston. There is a popular sandy beach here, as well as picnic area, playground, off-leash area (pilot), and boat-launch. In 2007, Kingston bought another 45 acres to the west of the park and is now in the process of creating a new master plan for the area. 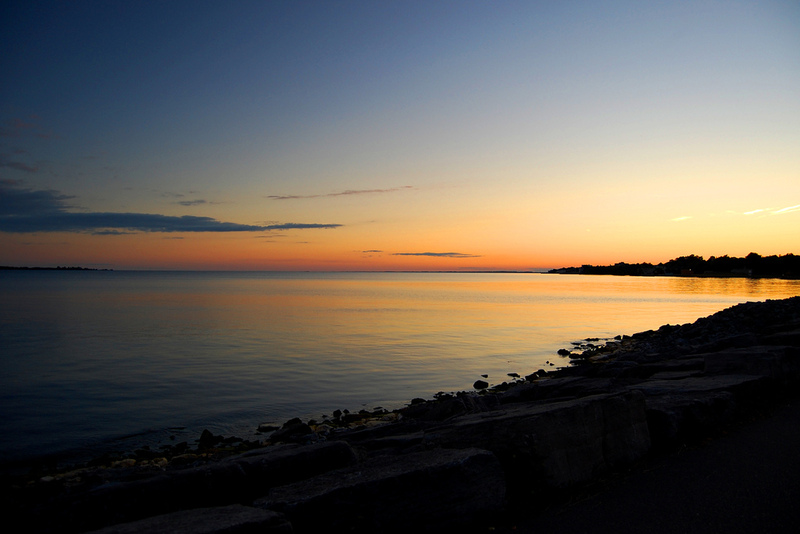 Located in downtown Kingston near Queens University, Breakwater is a municipally owned park that offers stone beaches, grassy shores, a waterfront pathway and a deep water swimming pier. In 2017, Lake Ontario Waterkeepers awarded the City of Kingston a $500,000 donation from the W. Garfield Weston Foundation to help with a revitalization of the park. Thanks to this donation and funding from the Canada 150 Infrastructure program, the revitalization of the park is now underway. Construction started in June 2017, and the project is set to finish by March 2018, meaning it will be open for the 2018 summer season. Half of the park remains open for use during the construction. The revitalization of the park will include the building of a pedestrian bridge connecting the tip of the swimming pier to the shore, an elevated sand beach, new pebble beaches and steps descending into the water. The swimming pier will also be redone, and will be named the Gord Edgar Downie Swimming Pier, after The Tragically Hip lead singer and board member of Lake Ontario Waterkeeper, Gord Downie. Located in the township of Stone Mills, the beach on Beaver Lake has a mainly rocky shore, which is surrounded by a grassy area. The beach itself is located within Lion’s Park in Erinsville near the Old Erinsville Train Station, and is often a common meeting place in the summer for swimming and relaxation. Many events are held at this beach, including a Kid’s Fishing Derby. Gilmour beach is a beautiful, 50-metre sand beach in Battersea. This swimming hole is nestled in the trees at the end of Wellington Street. Visitors can park at the base of the road and walk down the pathway to the beach. On Sharbot Lake there is a large public beach with beautiful sand and a playground for young kids. Known as an outstanding tourist region, Sharbot Lake is located 70 kilometers north of Kingston. The lake is about 15 kilometers long and consists of two bodies of water, upper and lower Sharbot. This beach takes its name from Henry Duncan Graham (Harry) Crerar, former Commandant of the Royal Military College of Canada and a field commander in World War II. This sandy beach is located in Kingston’s west end, near a residential community and the city airport.